It was a cold but bright Saturday morning and Ethan was a very excited little boy. He was looking forward to seeing all his favourite trains, including Gordon, Percy, James and, of course, Thomas. Being nearly three, Ethan could go on most of the rides but needed Mummy and Daddy to join in too. They started the day with a flight... and Ethan enjoyed it so much, that they took a ride on the aeroplanes again straight away! It's hard to say who enjoyed it more...! Afterwards, Daddy and Ethan set sail on Captain’s Sea Adventure, and pretended they were looking for pirates. With a real taste for the thrills and spills of the rides, Ethan quickly led everyone over to the Blue Mountain Engines ride, as it was just right for a little boy of 91cm tall. Thirsty from all the fun, the family headed to the airport complex. It had balconies that gave the O'Hanlon's a brilliant view over Thomas Land and beyond, plus there was Sodor Coffee Shop to enjoy and Thomas & Friends themed event rooms too. And look who was pulling their train... Rosie! 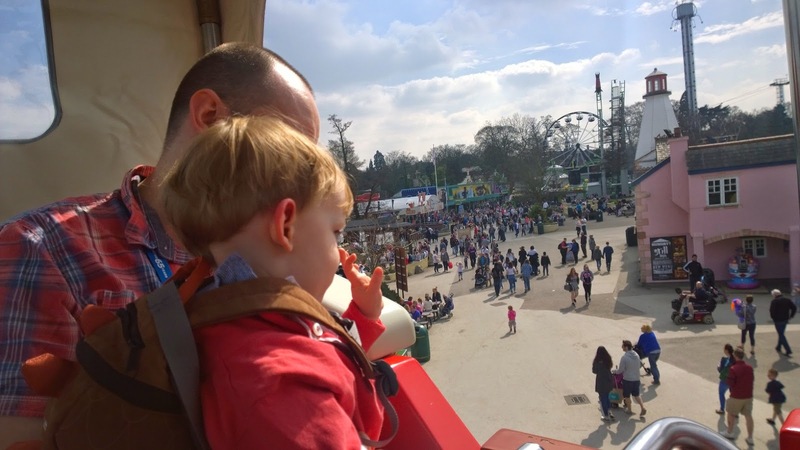 By this time, Ethan was worn out from such a fun packed morning - otherwise, the O'Hanlon's would have climbed aboard Winston's Whistle-stop Tour, where there's a great view of the park and all the people below. 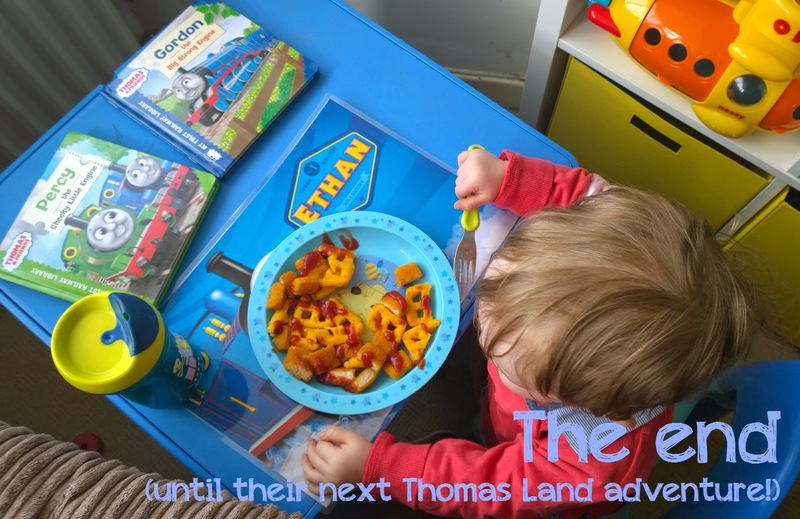 It had been a fun filled day but the excitement got to be too much in the end, and Ethan soon nodded off in the car on the way home, no doubt dreaming about all the choo choo's he'd met and the adventures he'd had at Thomas Land. 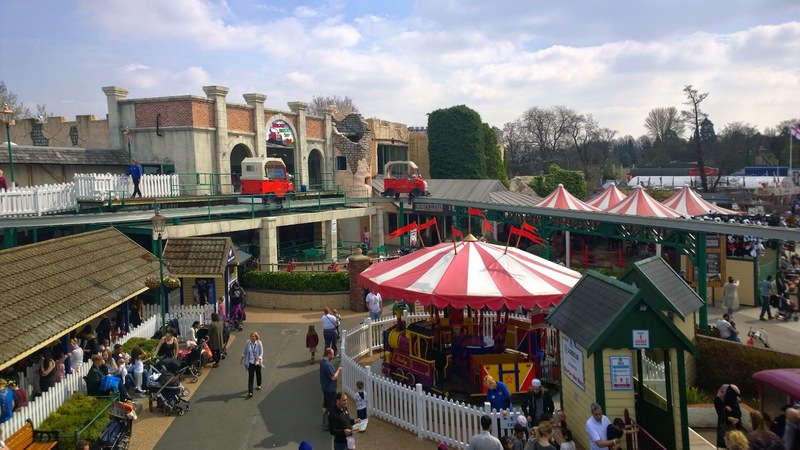 We really enjoyed our visit to Thomas Land at Drayton Manor. This was the third time we have visited and Ethan definitely got even more out of the visit this time, being that little bit taller and able to go on most of the rides. 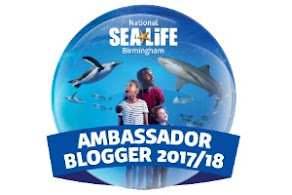 I've featured Thomas Land in my guide to days out in the Midlands and also where to see Santa in the Midlands posts - we would definitely like to come back again and the Christmas celebrations do look wonderful each year. Our top tip for attending is to start off at Thomas Land, as that's what little ones will be most excited about, perhaps queuing for some of the more popular rides first to get in early then having a look around to see which engines you can find. The sky tour is a nice thing to do when little feet are getting tired and lunch in the airport or by the lake if you have brought your own is a nice idea. 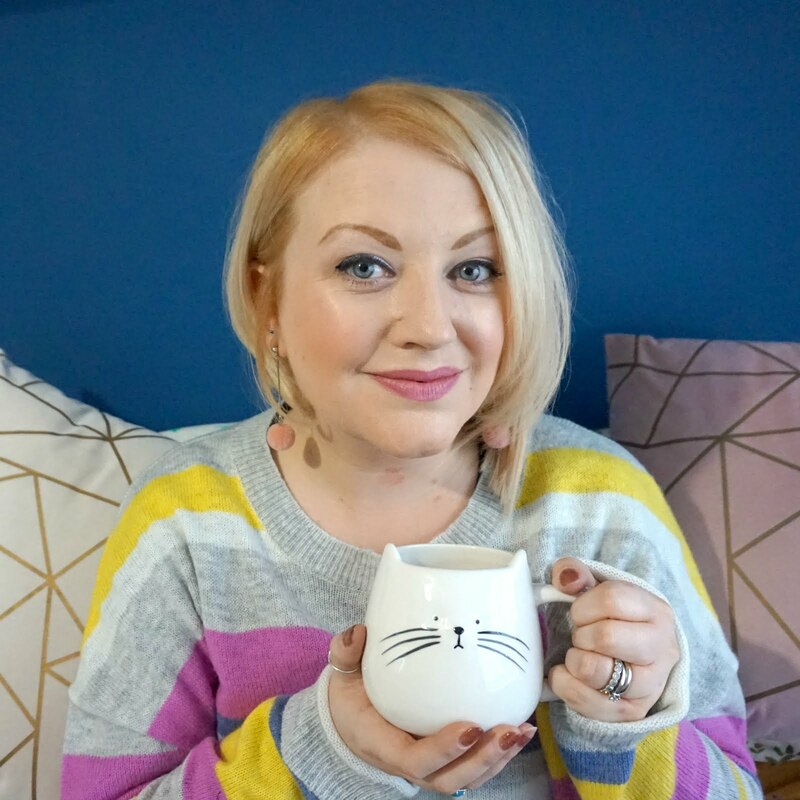 I'd then recommend stopping by the zoo and seeing the meerkats, monkeys, leopards, parrots, owls and so on, before heading to see the dinosaurs then let your children run off some energy at the soft play. This brings you nicely to the farm at the back of the park, where there's also a tea room for thirsty parents, before you can catch Thomas or Rosie back to the main Thomas Land park. We always do the journey this way as it tends to be less busy and it gives us the chance to visit the rides one last time before heading home. Looks amazing - love the look on his face!